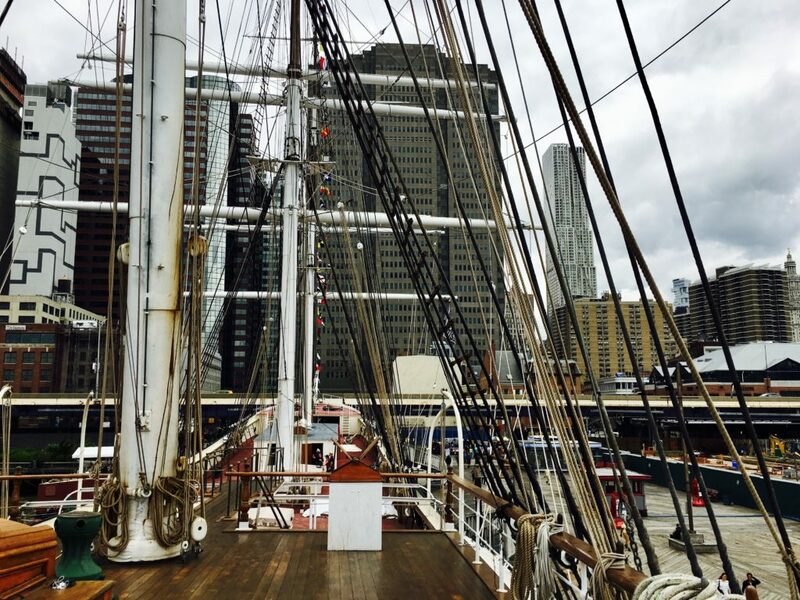 I recently went on board a ship built in 1885 that was docked in Lower Manhattan. For whatever reason, this ship outlasted others that were built at that same time. It was weathered and worn but clearly cared for. Volunteers at the South Street Seaport Museum were painting and scrubbing on the day I strolled the deck. A ship is made to be sailed… Just as a car is made to be driven, a meal is made to be eaten, a home is made to be lived in, and clothes are made to be worn. Sometimes we protect a cherished something so much that we don’t allow it to be what it’s supposed to be. The dents, the stains, and the weathered floor of this ship show that it’s a well-traveled ship. I hope that it will sail again some day.